In Utrecht it's very difficult to find a house. Rents are getting higher and higher, and social housing is disappearing. But don't worry, there is an alternative! But it's hard to just start squatting. Where do you begin? How does it work? And, isn't squatting illegal? That's why the KSU-Utrecht is there. We can help you out, tell you all the ins 'n outs about squatting, provide information about the laws, answer the questions you always wanted to ask or you can just have a little chat. Every Friday you are welcome at the kraakspreekuur (squatting info hour). We start at 18:00 and after there will be food and drinks on donation at the eetcafé. Here you can meet and talk with other squatters, or others that are looking for a house! 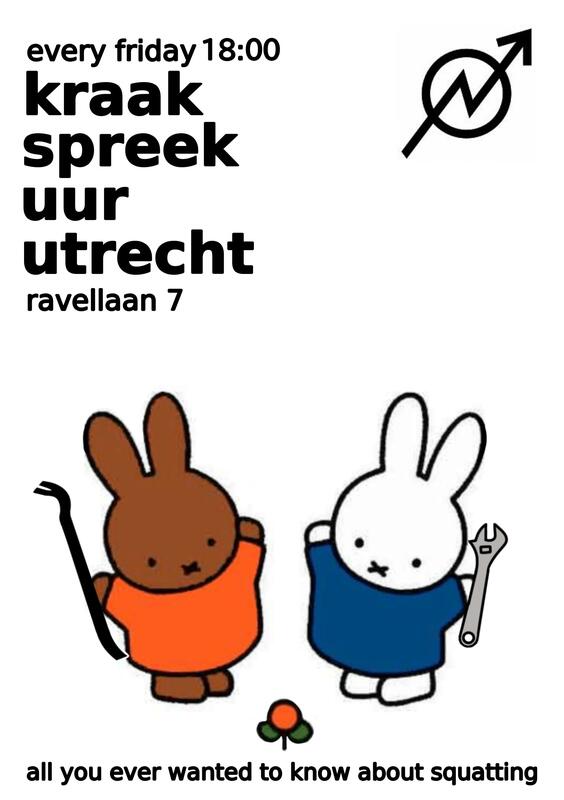 Squatted school near the city center of utrecht, since 6 february 2015.